Toots Hibbert is one of the great voices of Jamaica; a legend whose career spans every development in Jamaican music, from ska through rock-steady to reggae. 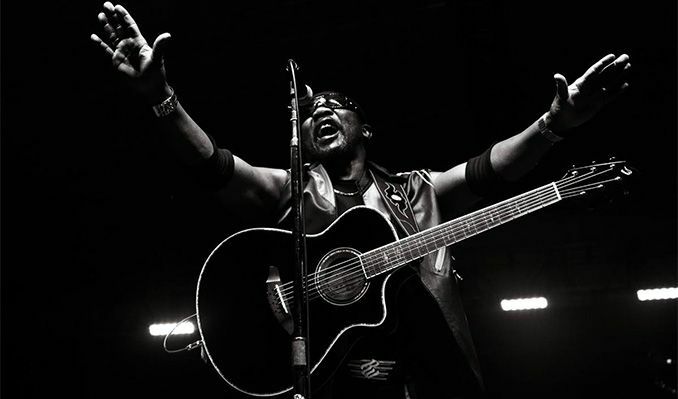 Toots and the Maytals have helped to chart the course of Jamaican music with unrivaled delivery and dynamism, setting new standards of excellence, and becoming the most enduring of all Jamaica's groups. Born in Maypen in the parish of Clarendon, Jamaica - the youngest of seven children - Toots began singing in the church choir at the age of seven. He left home in his teens to go to Kingston where he met Raleigh Gordon and Jerry Matthias and formed the original Maytals in 1962. They were also sometimes recorded as the Vikings. The Maytals began their career at Studio One, the headquarters of Clement 'Coxsone' Dodd, in Kingston, Jamaica. The group's debut release, HALLELUJAH, was an immediate hit throughout the island, and featured a mix of Jamaican rhythms and gospel vocal influence that would mark much of the Maytals music. Further successes followed, including I'LL NEVER GROW OLD and JUST GOT TO BE ME, each one building a reputation for the Maytals and their energetic straight-from-church style of singing and their "spiritual" ska beat.